Today I have legendary SEO who has created one of the best tools for all us search engine geeks- the Screaming Frog SEO Spider Tool. 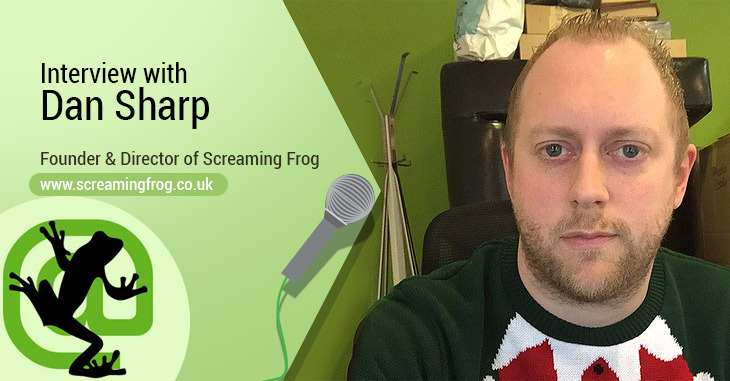 Dan Sharp, Director at Screaming Frog, has developed search strategies for a variety of clients from international brands to small businesses since 2005. He also designed and managed the build of the innovative Screaming Frog SEO Spider software. Since its launch, the SEO spider has quickly established itself as the leading onsite technical SEO auditing software. A big thanks to Dan for spending the time answering my questions! Q. We at TechWyse love using Screaming Frog SEO Spider software. Does this tool help you get more leads/clients for your business? What are some of the benefits gained from using this tool? A. Very cool to hear the SEO Spider helps out, that’s why we built it! The SEO Spider has certainly helped raise our profile in the industry and to an extent outside as well. It was never meant to be a lead generation tool, for example you’ll notice we don’t capture email addresses or anything to download or use the tool, which most ‘freemium’ products do. We just built something to solve the problems we were experiencing internally with onsite SEO audits and then realised others in a similar position might like it too. Since then the SEO community have had a large input into our development with new features and improvements which has been very cool. We do receive some enquiries from businesses that have used our tool, or organically which the tool has helped us achieve, as it attracts lots of mentions and links. But in general the quality of a lead from someone searching for ‘SEO’ is poor, most of our new business for the agency comes from referrals from existing clients or people we have worked with in the past. Q. In your last interview with Moosa Hemani, you mentioned that this year you are going to expand the tool. Can you elaborate on that? 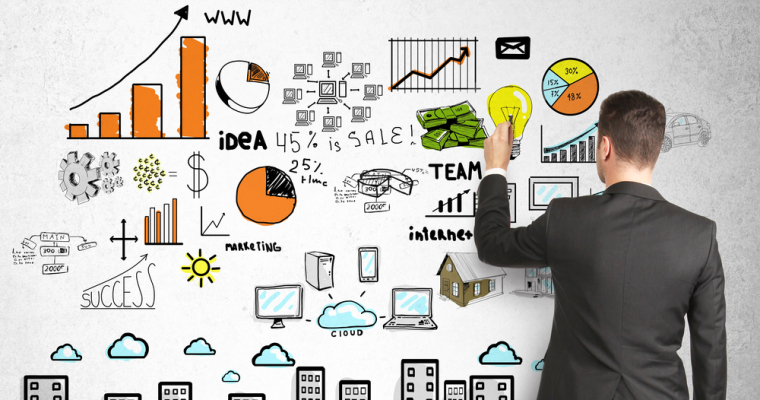 Are you going to focus more time and resources on the crawler, or more your primary business? A. We have already been quite busy this year with a few new releases, all with new features like pixel width calculations for page titles and meta descriptions, a SERP snippet preview, a crawl overview, AJAX crawling, a canonical errors report etc . However, we have a big project in development at the moment which will be more significant, which I can’t go into too much detail about I am afraid. But, it’s not too far around the corner now. My time is spent on all aspects of Screaming Frog as a business, so this includes working with clients on projects, our team and the SEO Spider development. I split my time between these, but essentially focus on improving everything we do alongside the awesome team we have in place. Q. How do you see SEO today in comparison to two years ago? Where do you think it’s heading in the next couple of years? A. I think there’s been lots of changes in the world of SEO over the past couple of years which have had an impact. But in reality, SEO is still the same as it’s always been, at least it has been for the last decade I’ve been in the industry. Google have got smarter, our remit and responsibilities have certainly grown and there’s also been a natural evolution, which has forced marketers and SEOs to adapt or die. Q. What do you think the major factors or signals that Google considers when ranking a site in local search results? As a marketer, which are the factors you focus mainly for your clients and how do you try to achieve strong local rankings? A. I think moz local search ranking factors does a good job covering off the main signals and certainly we see the physical address, proper categorisation, citations and reviews all being pretty strong for the local packs and results. Obviously as well as the usual on-page and offpage authority signals anyway. We quite often work with clients that don’t have a physical location in a target area, which is more of a challenge. Since the Google Venice update we have seen results tailored to your location as default for generic phrases which might have more local intent or interest. So Google will show pages relevant to ‘Henley on Thames’ when I search from our office (in Henley on Thames, in the UK) regardless. This presents an interesting challenge to businesses about how they target all the regions they operate. If they don’t have a physical address or set-up local pages, they will miss out on a lot of relevant search volume. This is why there’s lots of websites out there with very templated, fairly thin and mostly duplicated regional landing pages targeting local queries as a result. Obviously this type of landing page can be something Google Panda might consider a problem if implemented poorly at scale. Q. How important are reviews for local SEO success? How can people effectively handle negative reviews? A. Purely as a signal, I think they are important. From a customer and business perspective, even more so. Research shows that people obviously read reviews which will impact conversion. I think negative reviews should just be handled in a transparent and honest approach. If a customer has complained with a negative review after problems with a product or service, talk to them to get more details and explain how these can be solved by offering further help. Don’t get involved in heated exchanges. Pretty simple. Q. After the recent Penguin update, have you noticed any massive gains/drops for any of your clients? What’s your advice to SEO agencies and local site owners whose were penalized? A. Yes, we’ve experienced positive improvements in visibility for a number of clients we have been working with to help them recover from Penguin. 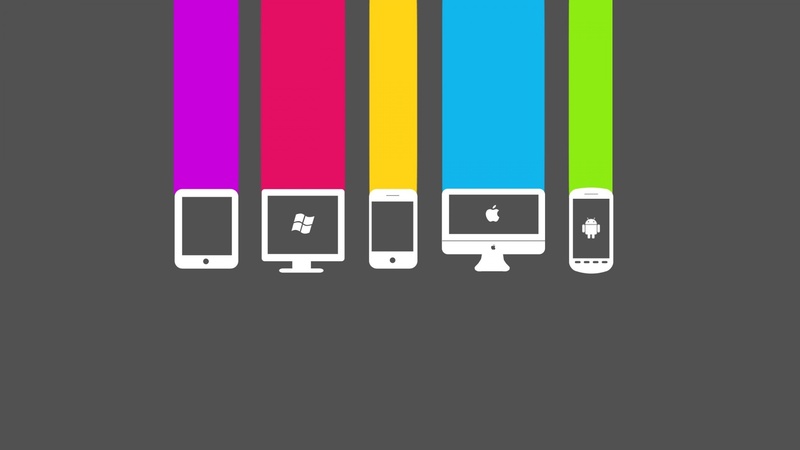 We took on quite a few clients who had previously been hit by Penguin 2 and 2.1 due to past link building efforts. We have helped them clean up their link profiles to aid recovery, as well as educate and work on more sustainable strategies. Like many, we have been waiting for a long time for the Penguin update. I heard some rumours that there may have been an update and checked on our known client cases and it was immediately clear that there had been a Penguin update which I tweeted and I shared a couple of examples from clients. If your site has been penalised by Penguin, stop link building straight away. Google Penguin identifies the lowest of the low link profiles in my opinion, easy to identify spam links and clearly manipulated link profiles (particularly commercial keyword heavy anchor text). If you’ve been hit by a Penguin update, the chances are you’ve been doing something very wrong. I don’t think Penguin is overly sophisticated yet and it’s essentially used to take out the trash and scale their spam identification so a manual spam review isn’t required by a Googler. To recover, a thorough link audit will need to be performed and any unnatural and manipulated links will need to be disavowed. We’ve had recoveries from just disavowing and no link removal. You’ll then need to wait for another Google Penguin update for a chance of recovery. The amount you recover will be dependent on how many genuine links and reputation you actually have after disavowing all the rubbish. It seems that this may have been more of a ‘refresh’ of Penguin than an update, so it will be interesting to see whether they have the ability to run this more frequently yet. In my opinion the delay in the Penguin release and communication from Google suggests that they’ve really struggled to update and improve the algorithm, so it might still be quite slow. Q. What are the biggest challenges you faced at Screaming Frog over these years? How have you overcome them? A. We have faced all the usual start-up challenges, but we’ve always been profitable from the first day, so we have been fortunate to work with some fantastic clients who trust us. I think our biggest challenges lay ahead and we have lots more to overcome. Q. What kind of culture exists in your organization? How did you establish this tone and how did it helped Screaming Frog to grow? A. We have a strong set of shared values at the heart of our business about the way we operate with integrity and transparency. Our team embrace those values and are really passionate about our work and why we do it; continuously learning and improving our practices. I think the key for us was finding the right people who shared the same beliefs and vision, which has set the tone for the business as it has grown organically (excuse the pun) over time. Q. What are the major misconceptions that you have heard from other authorities/experts and what are you views about their claims? A. I disagree with people all the time, but I can’t think of anything that stands out really. I actively try not to listen to people who talk crap. A. Personally I have found it really difficult like a lot of people. I’ve always struggled, even when I worked for someone else, I found myself working into the evening and nights, often reading, experimenting and trialing new things. I generally find it hard to switch off, whether it’s evenings or weekends as well. But I’ve improved and I plan on continuing to do so, with the help of the team and my partner. You need that balance or you will just eventually burn out. Thanks for asking me to do the interview! Well that wraps up this very interesting interview. Thanks for sharing all of your expertise and insight with us, Dan! Nice article Christy. I wonder if you have any opinions on DeepCrawl? The software is similar to Screaming Frog, but can crawl more complex/larger domains. Thanks!! I’ve been using Screaming frog and it really helped me a lot with my SEO efforts. Onsite Optimization is a bit tricksy and all I can say is that this tool made my Onsite efforts less stress.